How tall is Pope Francis? Here are some information about Pope Francis's height. Pope Francis is the pope of the Catholic Church. He was born on December 17, 1936 in Flores, Buenos Aires, Argentina. 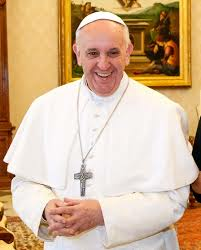 The height of Pope Francis is 5ft 9in, that makes him 175cm tall. Pope Francis's height is 5ft 9in or 175cm while I am 5ft 10in or 177cm. I am taller compared to him. To find out how much taller I am, we would have to subtract Pope Francis's height from mine. Therefore I am taller to him for about 2cm. And see your physical height difference with Pope Francis. Do you feel that this height information for Pope Francis is incorrect? Leave your comments and suggestions below and help us make this height listing for Pope Francis more accurate.